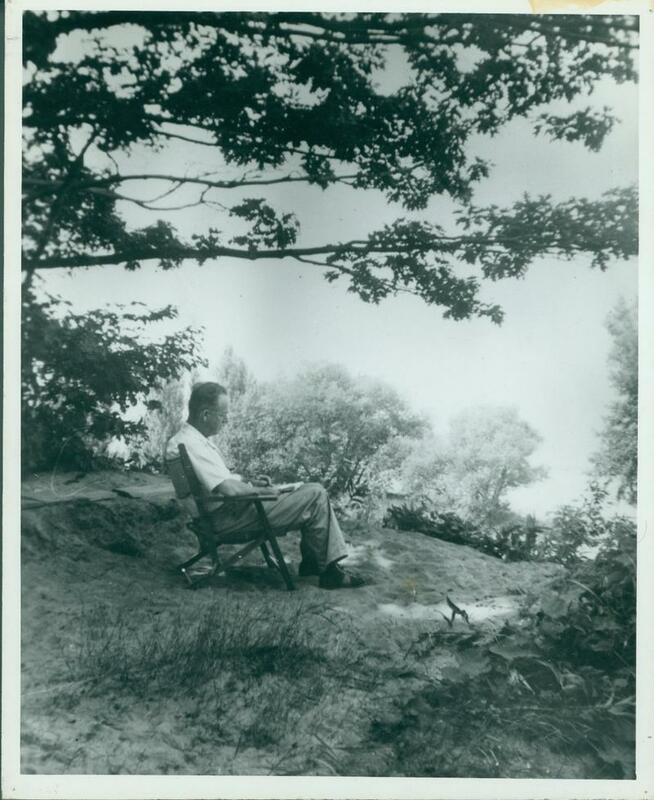 This week marked the 50th anniversary of the death of visionary American landscape painter Charles Burchfield. 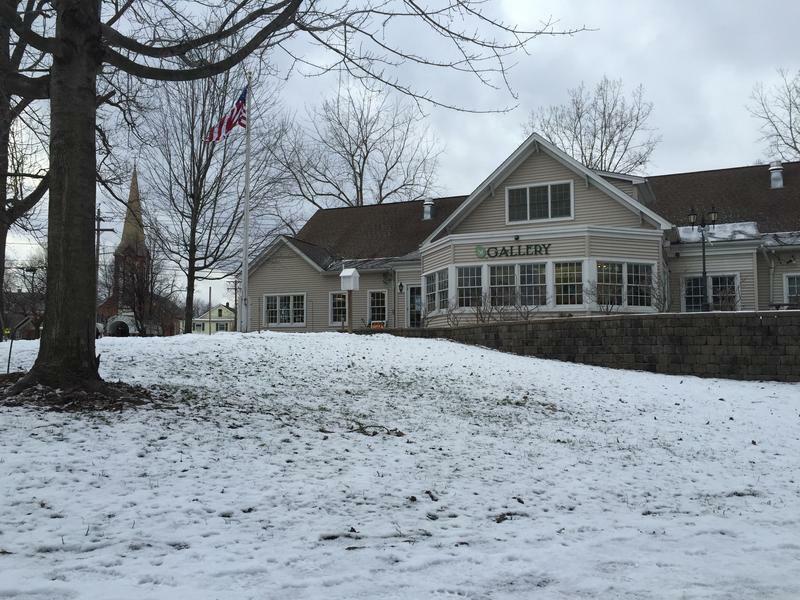 WBFO Arts and Culture Desk reporter Scott Sackett recently visited the Hamlet of Gardenville, the place that inspired many of Burchfield's works, for a look at his legacy. Along the Buffalo Creek are vestiges of the woods and fields that Charles Burchfield studied and painted for more than 40 years. Heavy traffic at the intersection of Union Road and Clinton Street is a telling trait of the transformation this once bucolic community has seen since Burchfield’s day. But amid the suburban bustle is a park preserve and a learning center honoring his life’s work. 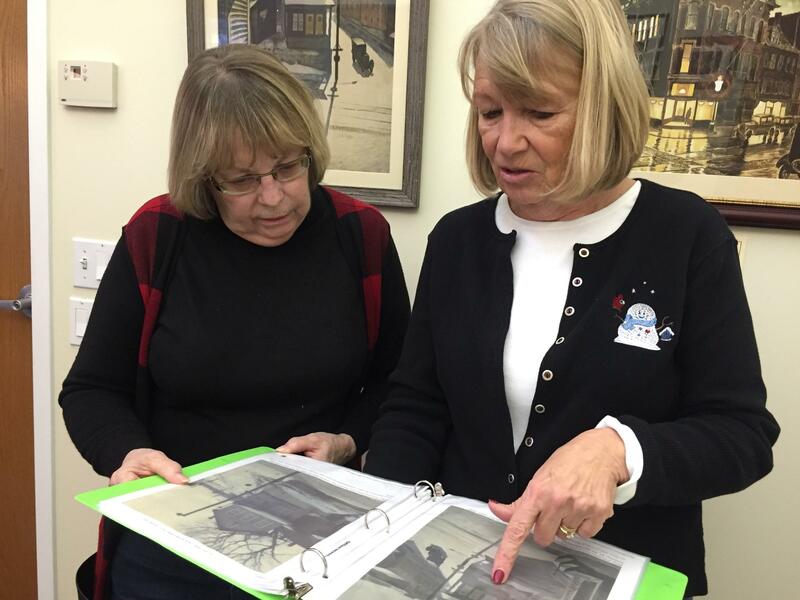 "One of the things we try very hard to do here is keep the park as natural as possible, and that was very important to Charles Burchfield," said Carol Yetter, one of the volunteers at the Burchfield Nature and Art Center. "We know he traveled this land; it didn’t look like it does now. As you walk throughout the park, we have 12 placards that tell about Charles Burchfield and his life and his art, and it makes people aware of this man who was important to our community and he traveled right here and they’re following in his footsteps." Visitors can participate in hands-on nature and art programs and see monthly art shows. On permanent display in the gallery are several Burchfield prints. Carol talked about which of Burchfield paintings she finds to be the most moving. "My favorites are the pure nature pieces. We have a couple on those signs out in the park. One is a firefly picture, and it’s located in the park near an area where there’s a lot of dead trees which attract fireflies. And so it’s just wonderful on a summer evening you see this picture, and all you have to do is turn around on an evening, and you see fireflies," Yetter said. "The other one is the woodpecker and there, he captures the sound. That picture is located in a wooded area out there. So you can be standing there looking at Charles Burchfield’s picture of the woodpecker and you can hear the woodpeckers and see the woodpeckers around you. So my favorites are the ones I can actually be a part of something that he may have captured right there." Just across the way is Charles Burchfield’s house. Jackie Albarella grew up next door. 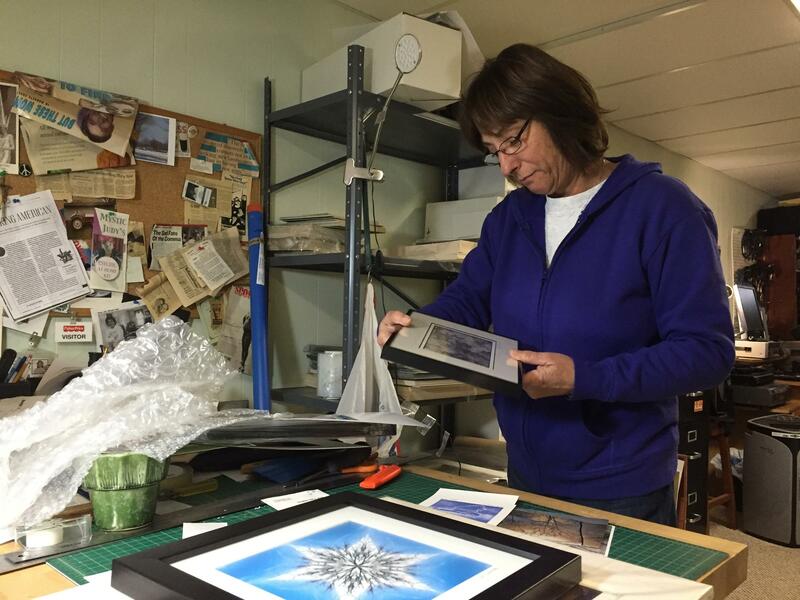 She is a multimedia artist and was one of the Nature and Art Center founders. Her brother now lives in the Burchfield home, which their mother bought after Charles Burchfield died in January 1967. "This is the dining room and this is the window Burchfield looked out most of the time," Albarella shows. "As you can see, the Buffalo Creek is right across the street which was the inspiration for many, many, many of his paintings. People from the neighborhood remember him quite vividly walking down to the creek. He had a dog that he always took with him and he would walk along there and put his easel up and start painting." Jackie takes me to the backyard to see Burchfield’s studio. Along the way, she stops to tell me about his gardens. "He had gorgeous, gorgeous gardens, and he had gardens that were naturalized. When he was out in the woods, he would pick a plant—I know, you’re not supposed to nowadays you can’t do it, but in those days, it didn’t matter—and he would pick native species, and the he would have them in his gardens. He had all kinds of flowers along the fence, it was really, really quite beautiful," Albarella explained. Jackie recalls Burchfield’s studio with a musty smell, many plants, and his scribblings on the walls. Standing where he would paint at his easel, she thinks about the influence Burchfield had on her. "As I learned more about him being a naturalist and liking to garden, there were a lot of similarities between the two of us. I really admired what he did and I can’t help but think living in the same place, coming from the same neighborhood, walking the same creek bed, subconsciously I think it’s going to affect your work, anyway," Albarella said. Back at the Burchfield Nature and Art Center, a few bundled-up visitors hike the trails along the creek—as Carol Yetter says, following in Burchfield’s footsteps. The tracks in the snow show many people wander these woods and, like Burchfield, some enjoy a nature walk with their dog. The Art Gallery of Ontario has brought in an art exhibition that some visitors have described as "thrilling" and "inspirational." It's the work of British painter Joseph Mallord William Turner. The exhibition is called "J.M.W. 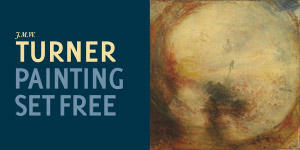 Turner: Painting Set Free" and focuses on the artist's late work, made after the age of 60. It comes to Toronto after having been shown at the J. Paul Getty Museum in Los Angeles and the Fine Arts Museums of San Francisco. A homecoming of sorts gets underway at the Albright-Knox Art Gallery this weekend. 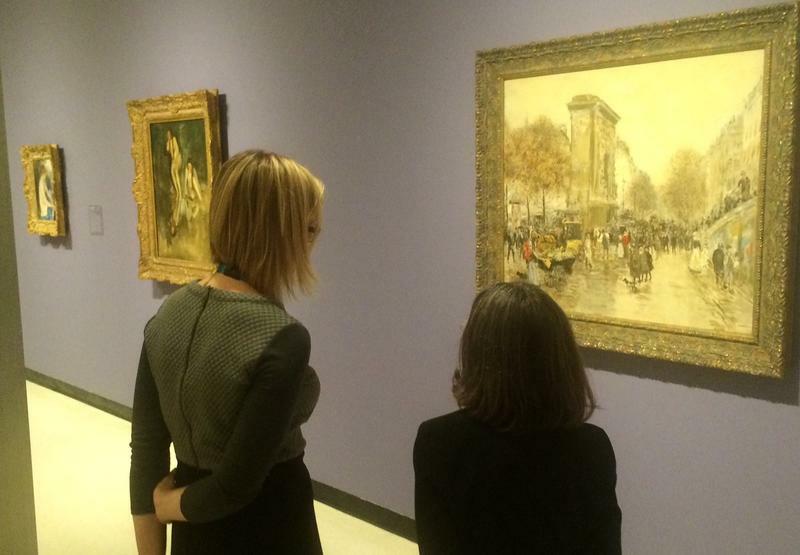 A new exhibit titled "Monet and the Impressionist Revolution" opens to the public Sunday. Charles E. Burchfield, 1941. Photograph by Sally Burchfield (1925-2002). Burchfield Penney Art Center. Courtesy of Charlie Ferris. The Burchfield Nature and Art Center in West Seneca is celebrating "Americana" Sunday afternoon.